Valeria Luiselli, Lost Children Archive. Some books — my favourite sort — I like to read inside out. I want to excavate a deep topography of the narrative via others that have inspired it and from which it draws breath. To that end, I keep an index card and an HB pencil handy. I note down references to texts or authors, phrases or images that persistently return. I’m not an underliner, preferring when I re-read to do so with a fresh eye, but occasionally, when the need is great I will buy another edition of a book, which I then mark up freely. So, when I open my second copy of W.G. Sebald’s The Emigrants (trans. Michael Hulse) to a page at random, I rediscover Paul Bereyter: “He read and read — Altenberg, Trakle, Wittgenstein, Friedell, Hasenclever, Toller, Tucholsky, Klause Mann, Ossietsky, Benjamin, Koestler and Zweig: almost all of them writers who had taken their own lives or had been close to doing so.” In my copy of Teju Cole’s Blind Spot, I find an index card covered on both sides with names and titles, among them: Sans Soleil, Edna O’Brien, Iliad, Caravaggio, Emily Dickinson, Nadia Nuéni, Holmes & Watson & Go Tell It on the Mountain, Merleau-Ponty, Slavers Throwing Overboard the Dead and Dying, John Coltrane. And, in Chloe Aridjis’s Asunder, on a page marked with a postcard reproduction of Velásquez’s Rokeby Venus, I’m reminded that “craquelure grants a painting its history, its authenticity, a whole topography the painter himself could never have envisioned”. Such books — Sebald’s, Cole’s — are also deeply embedded in particular places. I have made the requisite pilgrimage to Suffolk — following in the footsteps of the narrator of The Rings of Saturn as well as those who have come after him — and I’m still troubled by the journey. I re-read Vertigo and The Emigrants with a Hallwag map of Europe’s Alpine territories spread out before me. I use a Post-it to mark the world map in Blind Spot and flick back to it repeatedly. Often, as befits a narrative tradition preoccupied with time, the spaces of these texts are ghosted by the other people who have passed through, and the events that have taken place in them. These books are palimpsestic. I’m thinking of Cole’s over-layering of narratives in Blind Spot: of the intersection, for instance, at a crossroads on the Gemmipass, of Cole with his camera, Sherlock Holmes, Dr Watson, Moriarty and James Baldwin. They are also topographical. I’m thinking, too, of Sebald’s “long topographical litany”: those mountains, rivers, lakes and seas, those ruined cities and sites of abandoned industry, those cloistered reading rooms to which he and his characters compulsively return. It is commonplace, especially it seems to me when actual feeling is involved, to dismiss the affect of literature and other artforms. That’s just a film, a novel, a play, people say: Why are you upset? It’s not real. At best one might be permitted to experience emotion in response to art if it is framed as catharsis. However this, too, has a quarantining effect; it fortifies the boundary between art and, to borrow from Sebald, “the so-called real world”. But the books and the writers I speak of here cannot be quarantined so easily. I now began to see the white surface of the paper, on which I was going to draw, in a different way. From being a clean flat page it became an empty space. Its whiteness became an area of limitless, opaque light, possible to move through but not to see through. I knew that when I drew a line on it — or through it — I should have to control the line, not like the driver of a car, on one plane: but like a pilot in the air; movement in all three dimensions being possible. I cannot overstate the feeling of vertigo triggered by the possibility of moving through the page in all three dimensions. It is a feeling akin to reading Sebald and Cole; although I wonder if the pages they inhabit were ever empty to begin with. The palimpsestic nature of their work would suggest perhaps not, being as they are already peopled, by Wittgenstein and Benjamin, by Holmes and Baldwin, and already placed, on the Gemmipass and other Alpine territories. But, at heart, these narratives are multiple and three-dimensional. They force the reader to look at the world before them, even when that world is presented “obliquely, tangentially, by reference rather than direct confrontation”, as Sebald once described it in an interview with Michael Silverblatt. Books that can be — demand to be — read in this way are inherently terrestrial: they create a multi-dimensional world via the page that has the potential to intervene in the so-called real world beyond it. I’m tempted to say that no other book I’ve read recently does this more than Valeria Luiselli’s extraordinary epic novel, Lost Children Archive. Certainly I can’t immediately think of one that does, especially in response to continually unfolding events. And although critics have repeatedly coupled Luiselli’s name with Sebald’s, as they have done Cole’s, a distinction must be made between this novel and Sebald’s oblique, tangential narrative approach. 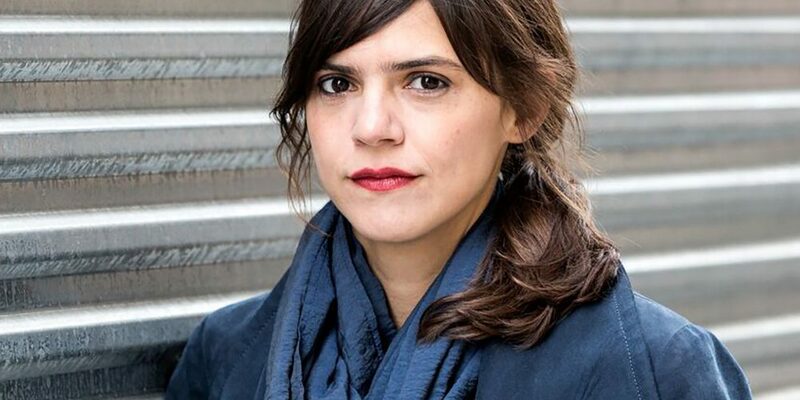 Because here Luiselli confronts “this empty, fucked-up world” directly — ferociously — as well as by reference to the deep, geographical-historical and literary archive written into her narrative. I think of all those children, undocumented, who cross Mexico in the hands of a coyote, riding atop train cars, trying to not fall off, to not fall into the hands of migration authorities, or into the hands of drug lords who would enslave them in poppy fields, if they don’t kill them. If they make it all the way to the US border, they try to turn themselves in, but if they don’t find a Border Patrol officer, the children walk into the desert. The woman’s concern for these undocumented children is at once general and specific. Back in New York, she had been helping another woman, Manuela, whose two daughters made the perilous journey from Mexico. During the drive southwest, the narrator receives word that the girls have disappeared prior to their removal: as Luiselli outlines in her essay Tell Me How It Ends (2017), children from Mexico are subject to immediate deportation under United States law and refused “temporary shelter, … contact with parents or relatives in the U.S., and… [the] right to a formal hearing in court where they could defend themselves, legally, against a deportation order”. looks at the bigger map, historical and geographical, of a refugee population’s migration routes. … No one thinks of the children arriving here now as refugees of a hemispheric war that extends, at least, from these very mountains [the Appalachians], down the country into the southern US and northern Mexican deserts, sweeping across the Mexican sierras, forests, and southern rain forests into Guatemala, into El Salvador, and all the way to the Celaque Mountains in Honduras. No one thinks of those children as consequences of a historical war that goes back decades. Everyone keeps asking: Which war, where? Why are they here? Why did they come to the United States? What will we do with them? No one is asking: Why did they flee their homes? In Lost Children Archive, Luiselli has composed a bigger map and a longer historical perspective of the routes taken by these child refugees who are “fleeing circumstances of unspeakable abuse and systematic violence, fleeing countries where gangs had become parastates, had usurped power and taken over the rule of law”. But this map extends even farther, beyond the migration of Central American children and the immediate war that has forced them to flee. In keeping with the centrifugal logic of the narrative, Luiselli’s map circles outwards from the car and the radioed news of children riding La Bestia, the freight trains that run from Tapachula on the Guatemala-Mexico border north toward the United States. It curls outwards again, from La Bestia towards the child crusaders of the thirteenth century, many of whom were sold into slavery; towards the “purchase” and “importation”, in the eighteenth century, of “children from the coast of Africa”, slaves “who would live longer” and therefore profit slavers more; towards the removal of the Apache from their lands, by train in 1886; towards the relocation by Orphan Train, between 1854 and 1930, of over 200,000 homeless and abandoned children from New York to the western United States, where “[s]ome ended up with good families, which took care of them. Others were taken in as servants or slaves, enduring inhumane living conditions. Sometimes unspeakable abuse”. 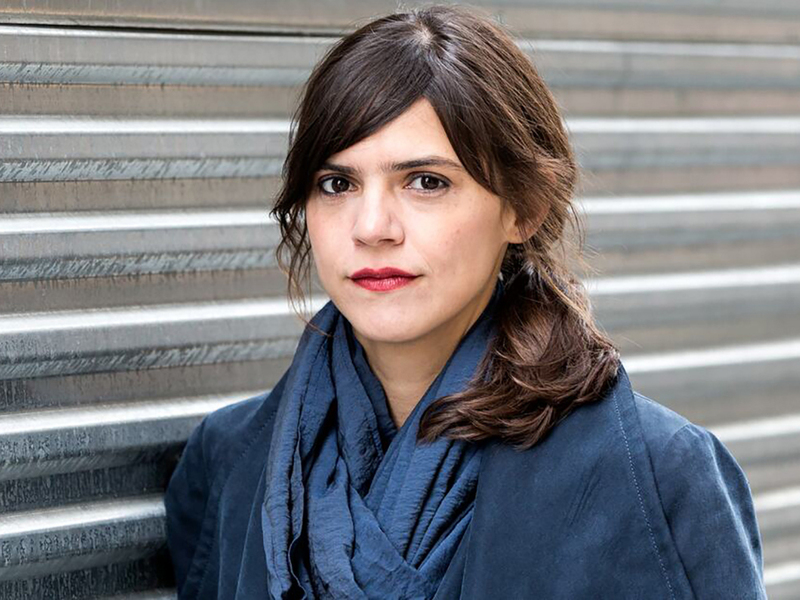 The ferocity of Luiselli’s novel and the energy with which she moves through the page in all three dimensions composing (to echo Berger) an autofictional record of the discovery of an event and its long history, is fuelled by her work at the federal immigration court in New York City. In 2015, Luiselli began working as a volunteer translator for unaccompanied child migrants. This experience became the subject of Tell Me How It Ends: An Essay in Forty Questions. Lost Children Archive echoes this earlier work in the same way as it does so many other texts — The Road and ‘Space Oddity’ but also Lord of the Flies, also (in Elegies for Lost Children, a text within the text of the novel) “Ezra Pound, Juan Rulfo, T.S. Eliot, Jerzy Andrzejewski, Emily Dickinson, Lázló Krasznahorkai, Rainer Maria Rilke, James Baldwin”, also Walt Whitman’s ‘Passing Stranger’, also the photographs of Man Ray and Sally Mann, and so on and on beyond the literary archive — those texts by which the world may be represented obliquely, tangentially, by reference rather than direct confrontation — to the Migrant Mortality Reports (“Name: ARIZAGA, BABY BOY … Age: 0 … Cause of Death: Nonviable”) and the map, discovered by the boy in the woman’s archive box, which “showed a space, like any map, but in that space there were hundreds of little red dots… [and] I realized the red dots stood for people who had died there, in that exact spot”, and the objects “found on migrant trails in the desert” (a toothbrush and toothpaste, a photograph, a telephone) — all of them documents that confront “this empty, fucked-up world” and demand that we look directly at it. Look. There are things that can only be understood retrospectively, when many years have passed and the story has ended. In the meantime, while the story continues, the only thing to do is tell it over and over again as it develops, bifurcates, knots around itself. And it must be told, because before anything can be understood, it has to be narrated many times, in many different words and from many different angles, by many different minds. 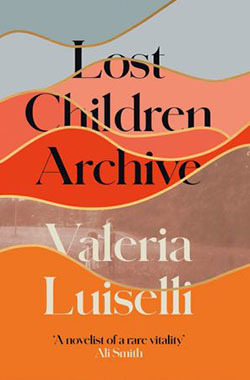 Luiselli’s project incorporates multiple narrations and various perspectives: her own, alongside those of some of the children and their relatives whom she met at the federal immigration court, in Tell Me How It Ends; the woman and the boy narrators, and voices from the literary and historical record, in Lost Children Archive. But perhaps the most powerful aspect of this project is her insistence upon a narrative approach that confronts the “unaccompanied child migrant crisis” as one part of a long history of child slavery, from the thirteenth century to now, and in which numerous US governments are implicated — a history traceable at least as far back as 1848, when Mexico “sold” Arizona to the United States following its loss in what “Americans call the Mexican-American War and Mexicans call, perhaps more accurately, the American Intervention”. Insisting upon an expansive historical-geographical view, Lost Children Archive, in combination with Tell Me How It Ends, intervenes in the world beyond the page. It disrupts the current, popular narrative of one deranged president and his wall and documents the insidious actions of successive US administrations, all of them hell-bent on fortifying the border with Mexico while continuing to profit from the sale of arms, the trade in drugs, and no doubt (although Luiselli doesn’t specify this), the exploitation of undocumented labour. These actions warrant testimony, variedly and repeatedly. The actions, for example, of the “Carter administration and, perhaps more actively, the Reagan administration [which] funded and provided military resources to the [Salvadoran] government that massacred so many and led many others to exile”; of Bill Clinton, “who laid the first brick in the wall dividing Mexico and the United States, and then pretended it never happened”; of George W. Bush, who in 2008 signed an amendment to the Trafficking Victims Protection Reauthorization Act, which “states that children from countries that share borders with the U.S. can be deported without formal immigration proceedings”; of the Obama administration, which in 2014 “created the priority Juvenile docket”, thus reducing from twelve months to twenty-one days the time given to “minors seeking immigration relief” to find legal representation and “impl[ing] that deportation proceedings against them were accelerated by 94 percent”; and the actions of the Mexican government, which (following President Obama’s meeting with President Enrique Peña Nieto) introduced the Programa Frontera Sur that includes such “anti-immigrant strategies” as “the notorious Grupos Beta, which, under the guise of a humanitarian aid organization, locates and then reports migrants to immigration officials, who can then ‘secure’ them — a Mexican euphemism for ‘capture and deport’”. It goes without saying, but it must be said anyway, that the US State Department “has paid the Mexican government tens of millions of dollars to filter the migration of Central Americans” — much as my own government continues to pay Nauru for hosting its “offshore processing facility” for refugees seeking asylum in Australia. Just as Luiselli presents an expansive, multi-vocal historical-geographical perspective to the movement of child refugees, she confronts the language used to instil fear of “aliens” (“Kids, a Biblical Plague” declares one newspaper headline) and to normalise the government’s defence against them. There is, throughout Lost Children Archive, an insistence upon the politics of language, and so it seems apposite that this should be the first novel Luiselli has written in English. Like most Anglophone readers, I imagine, until now I have read Luiselli’s work — Sidewalks (2010), Faces In the Crowd (2011), and The Story of My Teeth (2015) — in Christina MacSweeney’s beautiful translations from the Spanish. And I was (stupidly) unprepared for the difference it makes hearing Luiselli’s voice untranslated. It’s a curious difference, one that I still can’t quite put my finger on, but which I’ve come to think of as another of those ways in which Lost Children Archive confronts the world — specifically the world of US history — directly. A primary example of this confrontation is the attention Luiselli gives to euphemisms — secure, undocumented, illegal, removal, relocation — that “hide, erase, coat” real actions and their consequences; euphemisms that “lead us to tolerate the unacceptable. And, eventually, to forget”. “Against a euphemism,” the woman notes, “remembrance. In order to not repeat.” And, to aid remembrance, documentation. The creation of an archive. The woman in Lost Children Archive is a documentarian. Her husband is a documentarist. The boy aspires to be a documentarianist and addresses his account, composed of a voice recording and Polaroid photographs, to the girl who he fears is too young to remember the journey herself. He explains the difference between their parents’ work to her thus: “a documentarian is like a librarian and a documentarist is like a chemist [or, as the woman defines it, ‘an alchemist’]. But both of them did basically the same thing: they had to find sounds, record them, store them on tape, and then put them together in a way that they told a story.” Despite these similarities in practice, the man and the woman are pulling away from each other, each one following a different narrative thread. The family’s drive southwest was prompted by the man’s desire to compose an “inventory of echoes”; to travel to Apacheria and document sounds of “the ghosts of Geronimo and the last Apaches”. Back in New York, the woman had embarked upon a project recording the stories of undocumented children and resents having had to leave the city. But as news breaks of more and more children crossing the border and of the disappearance of the daughters of her friend, Manuela, she begins to understand that “the story I need to tell is the one of the children who are missing, those whose voices can no longer be heard because they are, possibly forever, lost”. Of course, in accordance with Luiselli’s big map and long historical view, these narratives intersect and overlap. But that intersection cannot restore the man and the woman’s marriage. As the boy describes it: “One was a documentarian and the other a documentarist, and neither one wanted to give up being who they were”. So what does it mean, Ma, to document stuff? You just have to find your own way of understanding space, so that the rest of us can feel less lost in time. Time and space are interwoven here, and documentation becomes a kind of double helix via which — in retrospect — we can read a version of experience as it was lived in the so-called real world. But documents are not only made for later, or intended to be read solely in retrospect. Luiselli shows how the keeping of records and the composition of an archive also enable the discovery of an event in real time. “I suppose”, the woman reflects, that “an archive gives you a kind of valley in which your thoughts can bounce back to you transformed. You whisper intuitions and thoughts into the emptiness, hoping to hear something back”. Like Berger, looking from the life model to the empty space of the page before him, Luiselli whispers into the archive and listens for the echo, for the reverberations of the woman and the man and the boy and the girl, of Geronimo and the Eagle Warriors and the last free Apache, of child slaves, crusaders, and Orphan Train Riders, of unaccompanied and undocumented children, those who are found by Patrol Officers, but especially those who are lost, possibly forever. This novel is a working archive. It looks at the world directly: now, in the time and space of composition. And it documents this world for posterity. The story Luiselli seeks to understand — of the hemispheric war between North and South (which extends well beyond North and South America), of the fortification of borders between nations, within families, and separating the world from its representation — is continually unfolding, as it has been since at least the thirteenth century. There isn’t time to wait to see how the story ends before beginning to tell it, as Luiselli has done with such virtuosity in Lost Children Archive, over and again, in many voices, from many angles.